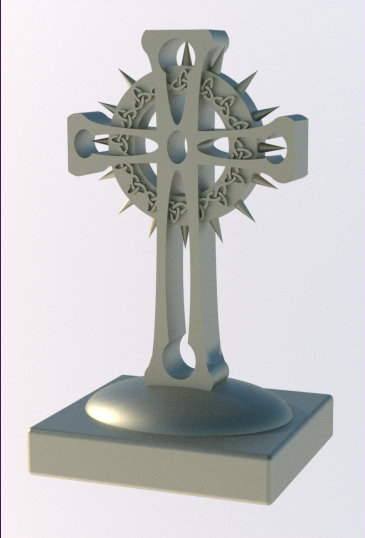 Celtic Cross mini statue, 7.5cms in height, is available with your lettering of choice on the base. In White, Strong and Flexible material costs $26. Just get in touch with me to let me know what lettering you’d like. 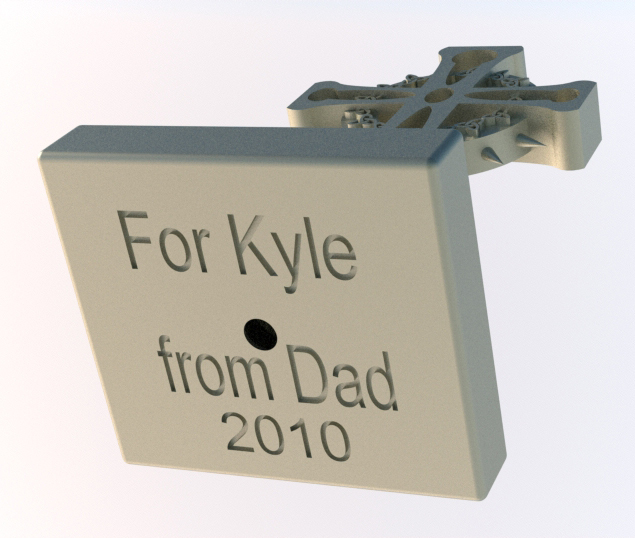 Here’s the LINK direct to this product page on Shapeways. Edit 11th Aug, 2010: Since there was an issue with the tiny points on this model I have since made them slightly rounded. 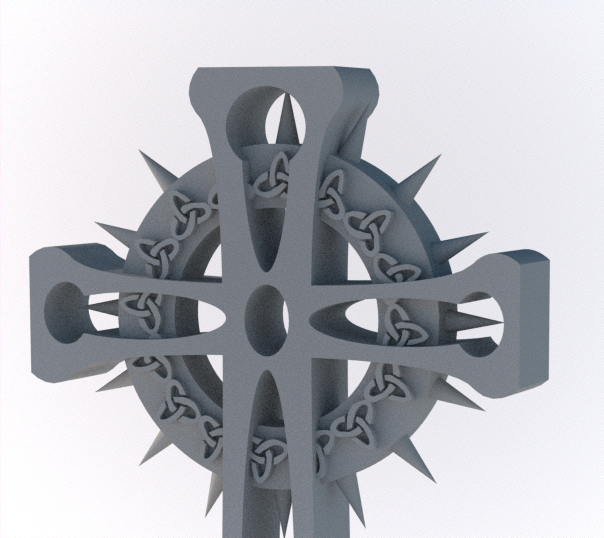 To see the new model go to my Shapeways page.